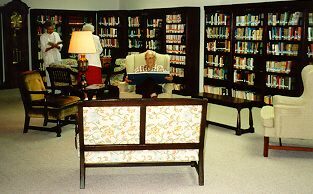 This is the library at Tudor Oaks, the retirement center where my mother and father used to live. 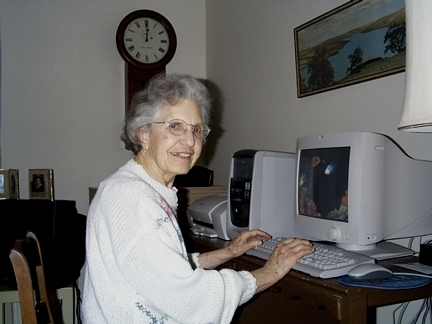 My mother had her own apartment which included a computer from which she sent me email. 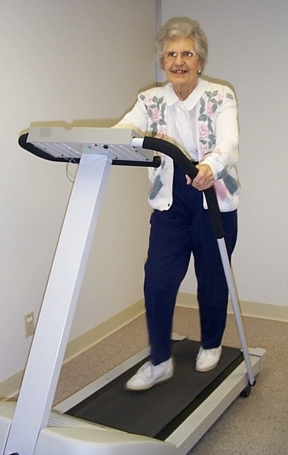 Tudor Oaks has an exercise mill where my mother went to walk on the treadmill for 20 minutes several times a week. On days with nice weather, she went for a walk around a nearby lake. She also participated in exercises to music. She was never lacking for exercise! 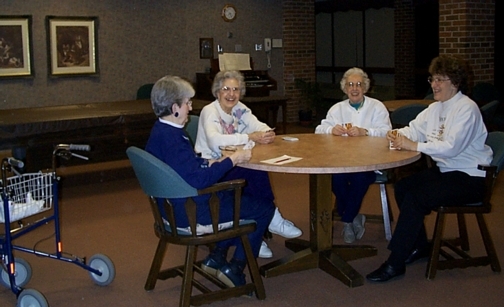 In one of the common rooms, the residents enjoy playing cards together. This one, my mother was amused to tell me, is called "Oh, Hell!" 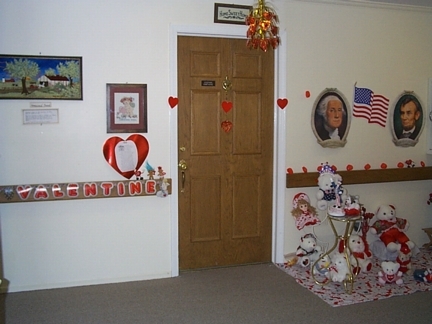 One of the residents regularly decorates her door to fit with the season. 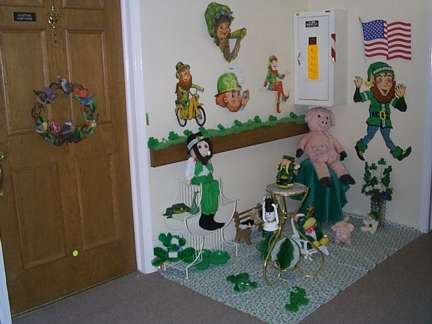 Above you can see her door on Valentine's Day and below on St. Patrick's Day.